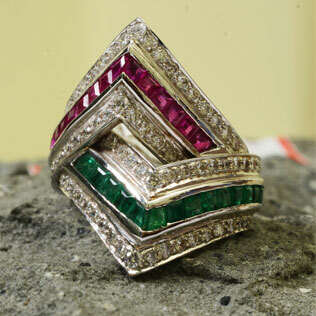 Is it your big day coming and you are confused about what jewellery you should wear? 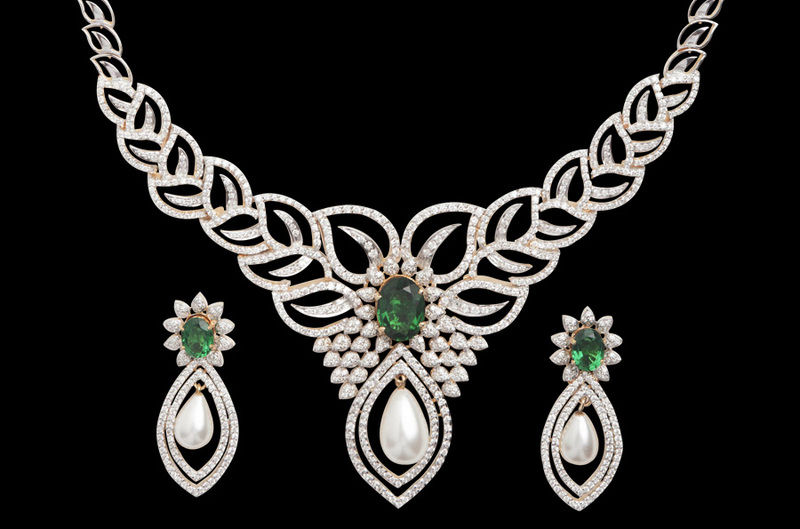 don’t worry in this blog we are going to tell you five necklace types which you may choose for your big day. 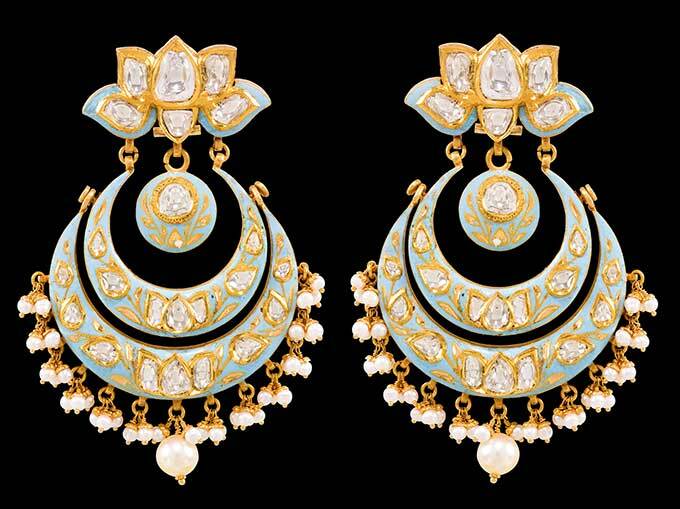 In a wedding every girl is stressed about their attire, the jewellery she is going to wear, and in jewellery, necklace occupies the central place and it would impact other jewellery and the whole attire. So, it is necessary to choose wisely when it comes to the necklaces. 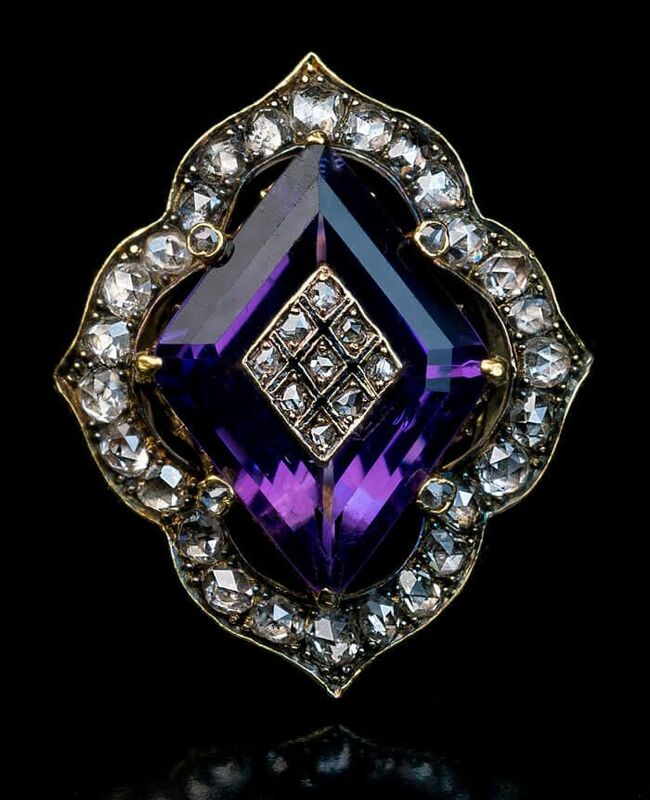 If you wish to have some fine pieces of necklaces you may visit Antiquariaat Jaipur and choose from any of five below mentioned necklaces. 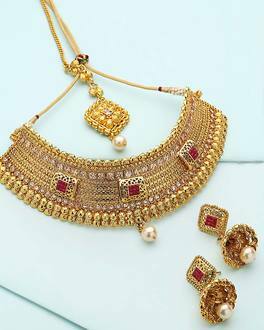 Choker– If you are going to choose Indian traditional wedding attire then you should go for a gorgeous looking choker necklace. Ideally, a choker size lies between 14 to 16 meters and it easily fits around the neck. This type of choker looks equally impressive, whether you wear a lehenga, a bridal saree, or an off-shoulder attire a choker necklace will do well with any of this attire. 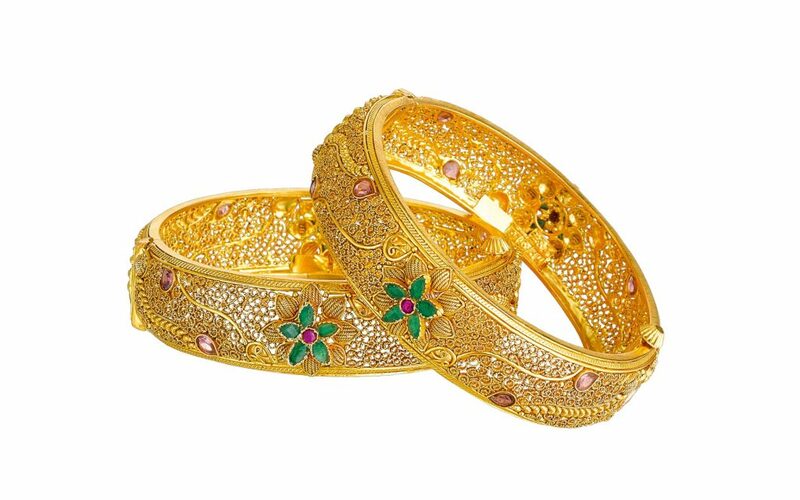 If you are going to pick a traditional Indian style choker, then you may choose gull bandh which is made of pearl choker with small pearl pieces, in three to seven parallel strings combined with Kundan gold plate. 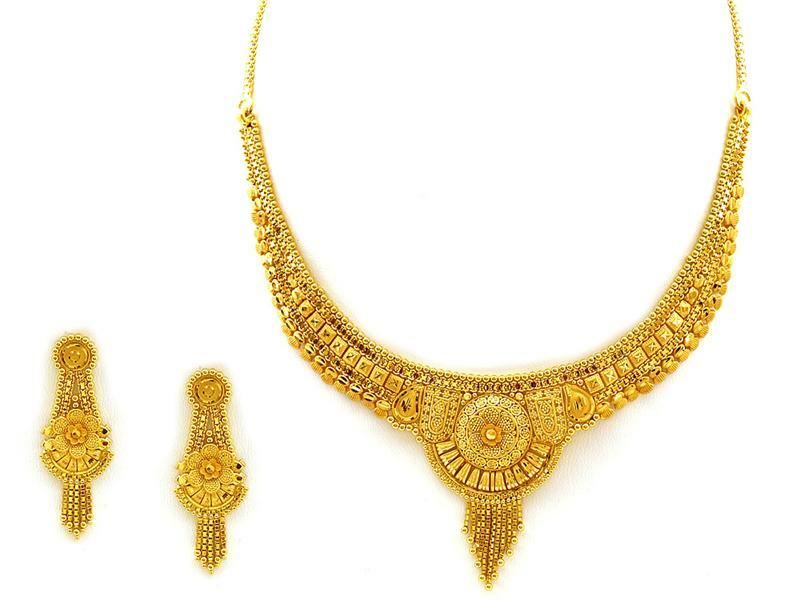 Another best option for a choker necklace is jadavi lachha from Nizam of Hyderabad. 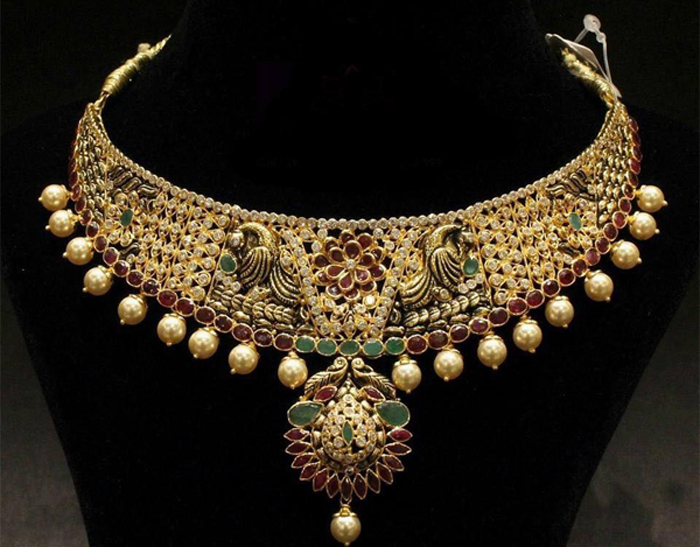 This beautiful piece of the necklace is comprised of seven layers of gold with ruby or a pearl on the top or emerald at the bottom. 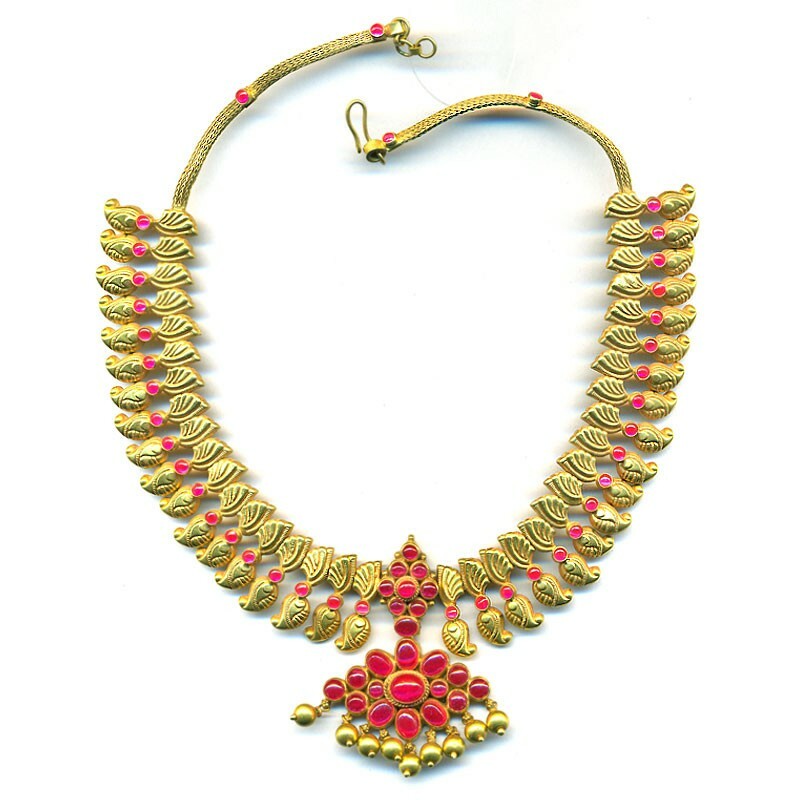 A choker necklace is what you should choose very wisely and buy it only from reputed jewellery shops like Antiquariat Jaipur. 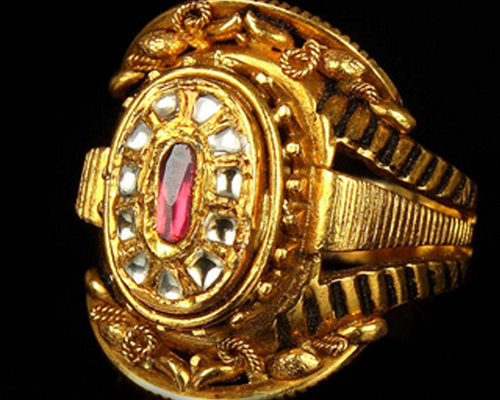 Rani-haar– If you wish to acquire a queenly look on your wedding day then you should choose a stunning rani-haar. 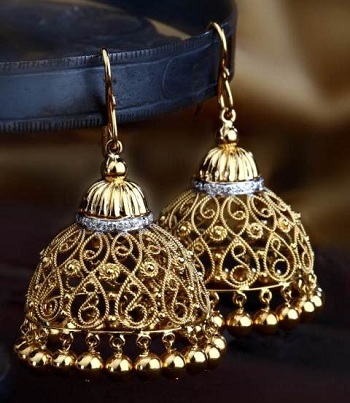 The rani-haar is thoroughly in trend nowadays and brides love to wear it on their weddings. 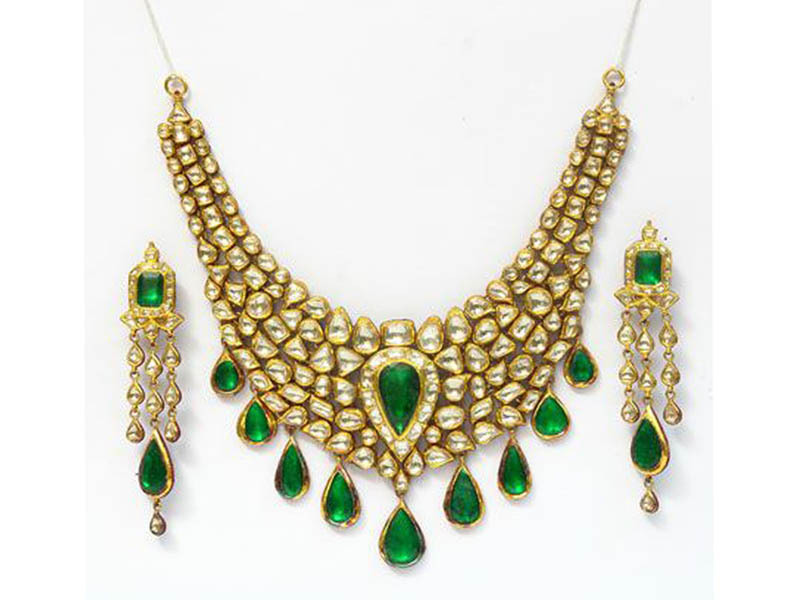 The necklace is made of Kundan along with some precious and semi-precious stones such as emerald, ruby, sapphire and many others. 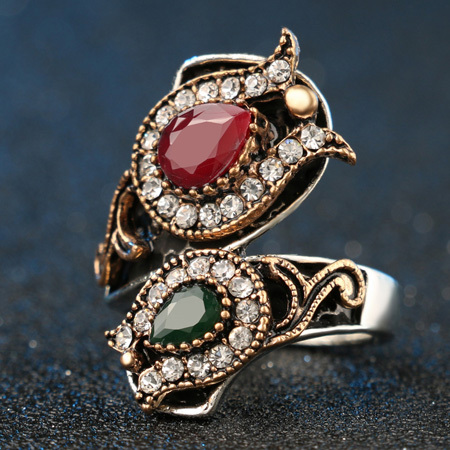 A rani-haar is not a simple necklace you come across several rani-haar is jewellery shop, which shows its great work of meenakari or enamel.